iRealHousewives | The 411 On American + International Real Housewives: The Real Housewives Of Potomac Returns To Bravo For Season 3 On April 1st! — Watch The Official Trailer, Cast Bios And Photos HERE! The wait is finally over! The Real Housewives of Potomac are back for a third season which premieres on Bravo on Sunday, April 1 at 10pm/9c! 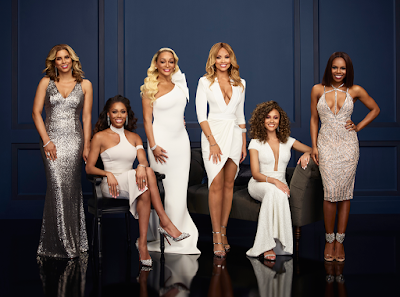 Returning are Ashley Darby, Gizelle Bryant, Karen Huger, Monique Samuels and Robyn Dixon are joined by new cast member Candiace Dillard. 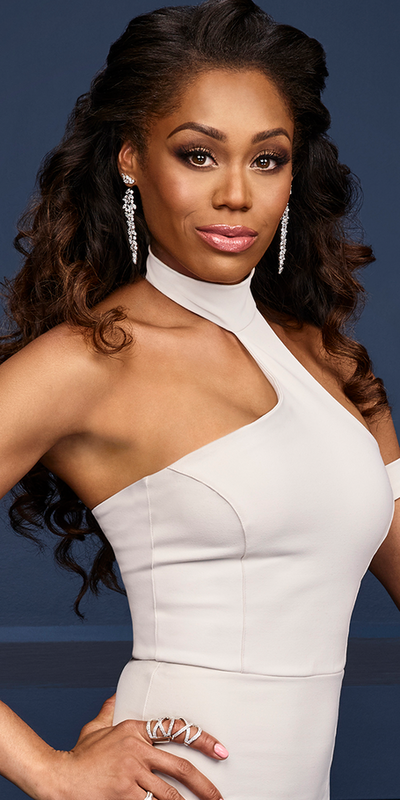 Meanwhile, original cast member Charrisse Jackson Jordan will return in a reduce role as the official "Friend of the Housewives" this season. Check out the official Season 3 trailer, cast bios and photos below! This season the ladies are dealing with the high and lows of friendships, and marriages are being challenged. Karen and Ray are the talk of Potomac after the Washington Post breaks the story on Ray’s tax debt. Karen is trying to keep her head high and support her man, but when the women see her living beyond her means, accusations of creating smoke and mirrors are thrown out, and the grande dame comes undone. Meanwhile, Ashley and Michael are working to get back on track, but Ashley’s need to be financially responsible for her mother drives Michael to give her an ultimatum she can’t bear. After many disappointments, Gizelle has found a man who can handle her big personality and is living on cloud nine with Sherman, but will balancing motherhood, a new relationship, and her cosmetic line prove to be too much? Potomac gains a new resident, as Monique and Chris officially move into their home. They want to expand their family but Monique is so overwhelmed with all her endeavors, she questions being able to add more to her plate. Robyn and Juan are starting to piece their life back together. Their finances are finally back on track, and they moved into a bigger home, but not everyone is sending positive energy their way. Ashley continues to judge the way Robyn and Juan choose to live their life, causing a rift between the ladies. And new housewife Candiace Dillard is a former Miss United States who knows Ashley from the pageant circuit. She’s newly engaged and is planning her dream wedding, but when she meets the other women, entering this inner circle proves to be no easy feat. As an entrepreneur, she is the founder and CEO of Candiace Dillard Pageant Consulting, cofounder of Prima Hair Collection by Candiace Dillard, and co-owner of Chateau Salon Suites. In 2009, she also founded an organization called My Sister’s Keeper, a mentorship and women’s empowerment organization designed to give young girls the opportunity to interact with women in their communities. Candiace is currently engaged to her soulmate, restaurateur Chris Bassett, whom she met while they were both working at a restaurant in downtown Washington, D.C. They were friends for several years before the courtship blossomed into undeniable love, and Chris proposed to her with a surprise engagement that included all of her family and friends. When she is not running her numerous businesses or being a pageant girl, Candiace can be found curled up with a good book, as reading is her favorite pastime. Gizelle Bryant is a vibrant socialite and resident of the Potomac area who effortlessly manages her jam-packed calendar as a single mother of three daughters, Grace and twins Angel and Adore. She was raised by very prominent and powerful parents who set the tone for her path in their work in government and philanthropy. After graduating from Hampton University, she moved to Baltimore, where she married megachurch pastor/activist Jamal Bryant. But when the marriage ended seven years later, this resilient woman decided it was time to move back to her old stomping grounds of Potomac for a fresh start with her three girls. Gizelle keeps herself busy with multiple philanthropy projects and entrepreneurial ventures. She generates funds to revitalize various major cities in order to help those in need or in transition. Gizelle is committed to working hard and sees every obstacle as an opportunity. She has had a successful launch of her cosmetics line, EveryHue Beauty. The hero product of the line is a tinted moisturizer that is geared to meet the needs of every woman of color. She is currently in negotiations to bring EveryHue to a mass market retail space. Gizelle maintains her status as a sophisticated woman in the Potomac social scene, and with her outspoken, no-nonsense demeanor, she is embracing her single life, and is open to possibly settling down once again. Originally from Virginia, Karen Huger grew up on a large family farm and witnessed her father succeeding through hard work and perseverance. Karen took those strong values and followed her heart, living life to the fullest while achieving many successes. She is applying her entrepreneurial spirit in various beauty, fashion, and lifestyle ventures, and she reigns supreme as the grande dame of Potomac. She is an advocate and ambassador for Promoting Awareness Victim Empowerment (PAVE) and the Alzheimer's Association, and she uses her public speaking opportunities to uplift women, enabling healing and positive change. Monique was the salutatorian of her high school graduating class. After graduation, she moved to Pittsburgh to attend Duquesne University on a full academic scholarship. After a few semesters, Monique decided to pursue her true passion, a career in music. She packed her bags and moved to Washington, DC where she met her future husband, Chris Samuels, a six-time Pro Bowl left tackle who played for the Washington Redskins. Chris and Monique’s friendship has blossomed into a marriage of six years and their beautiful five-year-old son, Christopher, and two-year-old daughter, Milani. Monique is a boss in every sense of the word, as she manages businesses, which include a real estate investment company, a business enterprise, and the Chris Samuels Foundation, that she and her husband share. As if that weren't enough to keep her busy, her entrepreneurial spirit has led her to create and launch her brand, Not for Lazy Moms, and the associated website notforlazymoms.com. In 2018, Monique will launch her Not for Lazy Moms podcast, which will further address topics that everyone can relate to, but are rarely discussed. Monique’s desire to make a difference and help others is fueled by the love and support of her family. The Real Housewives of Potomac Season 3 premieres on Sunday, April 1 at 10pm/9c on Bravo. For International #RealHousewives TV Listings, click here!